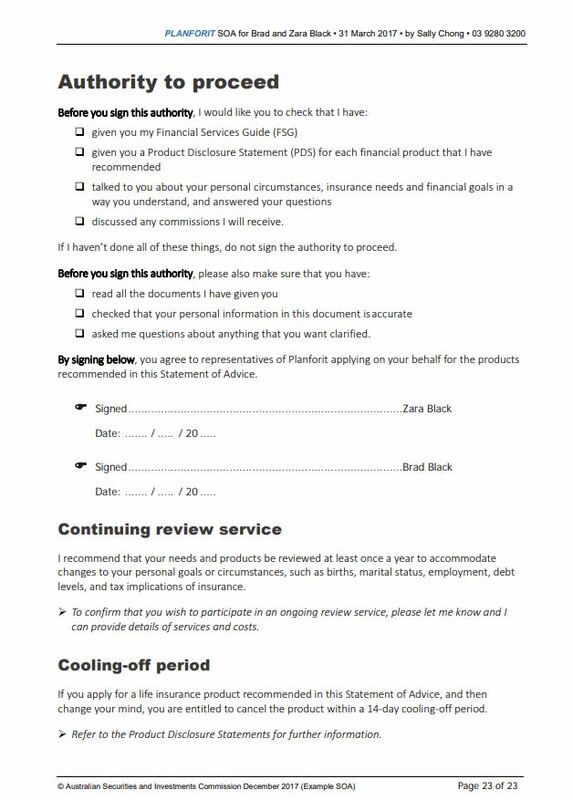 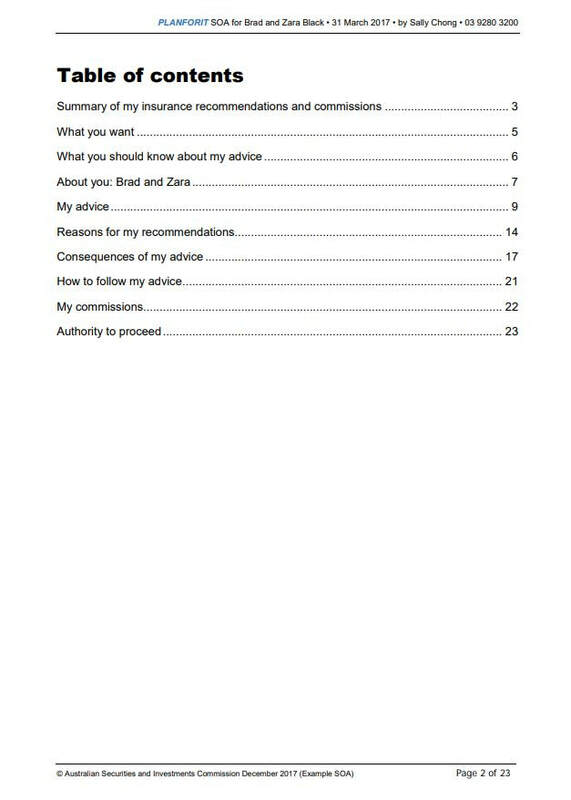 ASIC provide this as a guide for Australian financial services licensees, authorised representatives, and advice providers who give information and advice to retail clients. 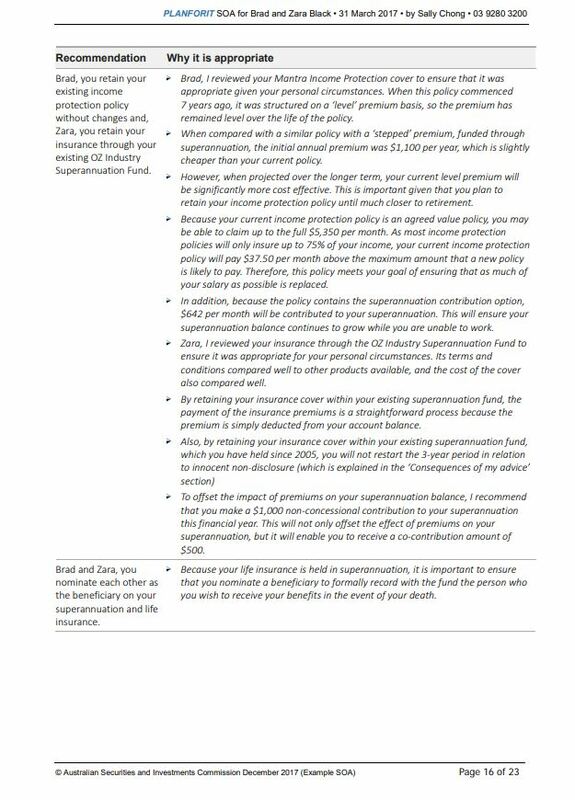 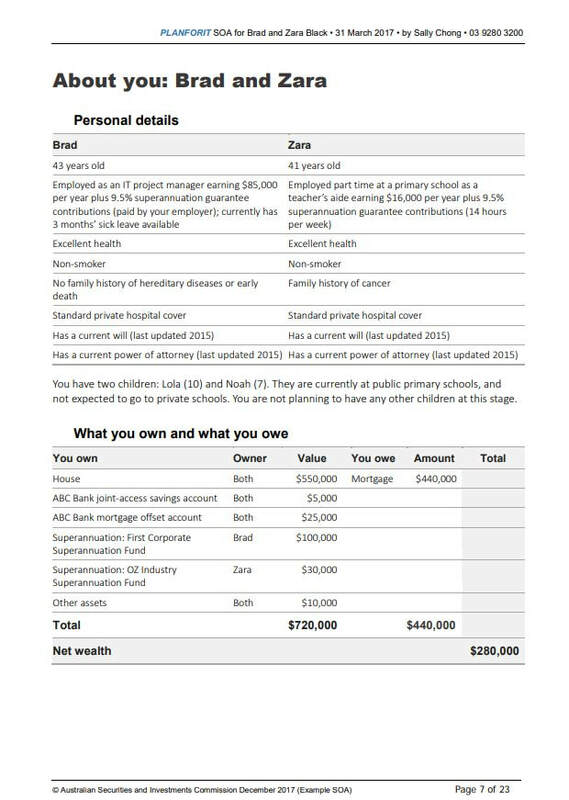 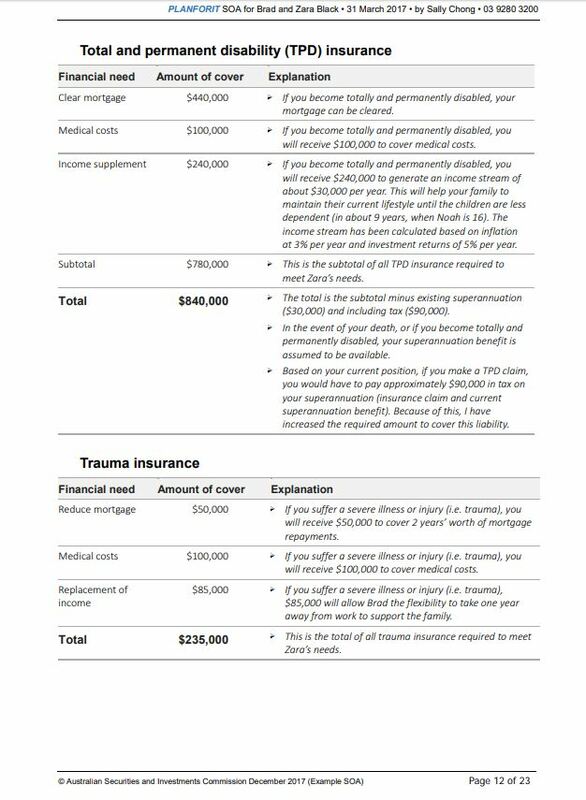 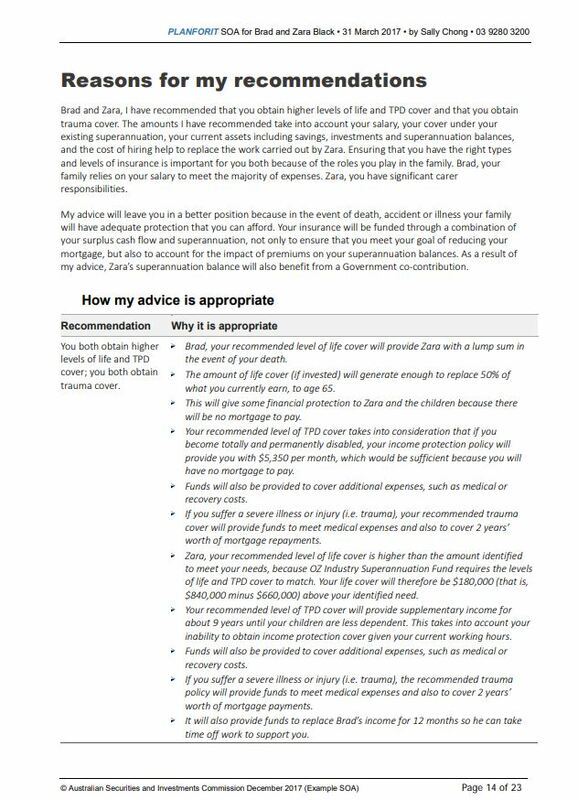 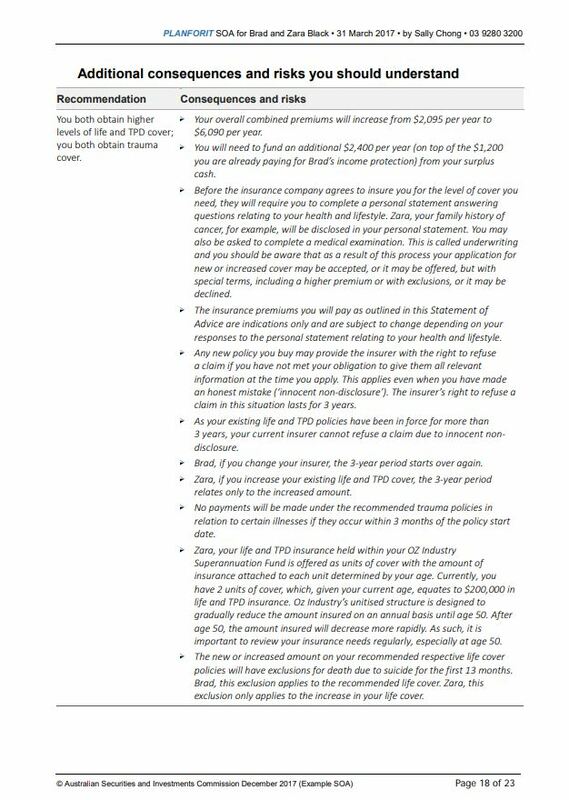 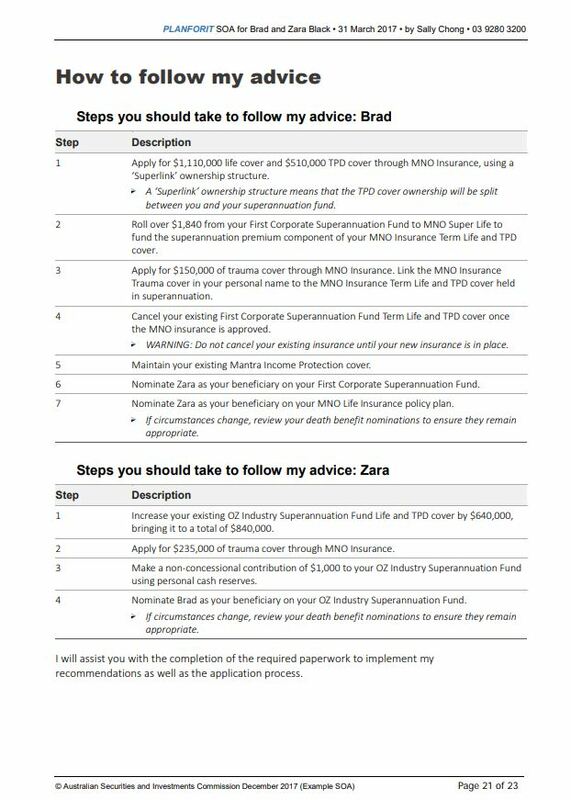 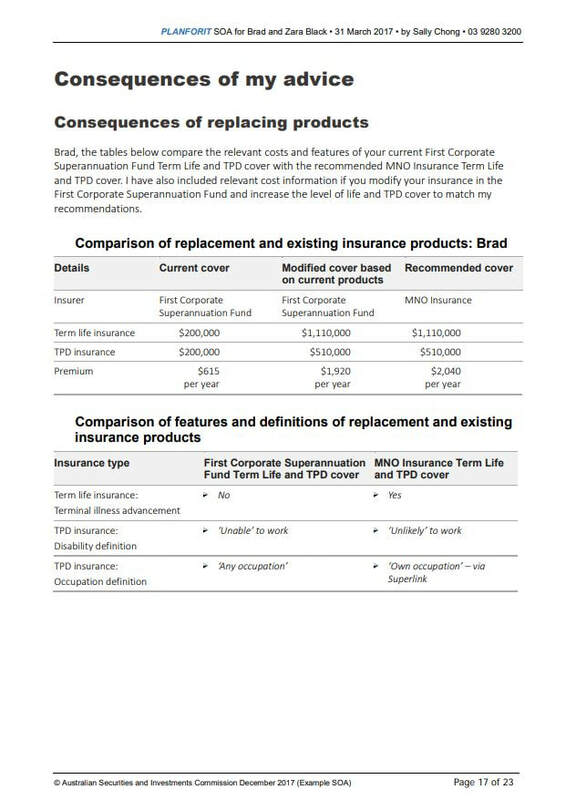 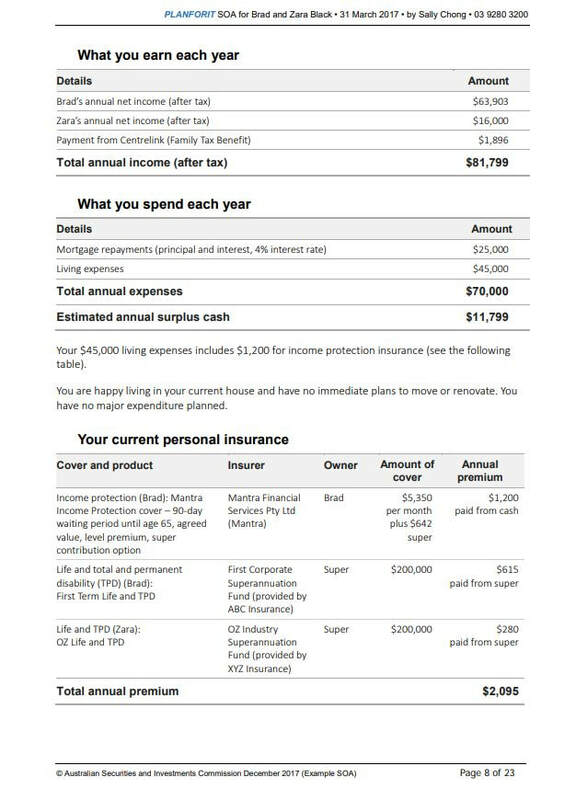 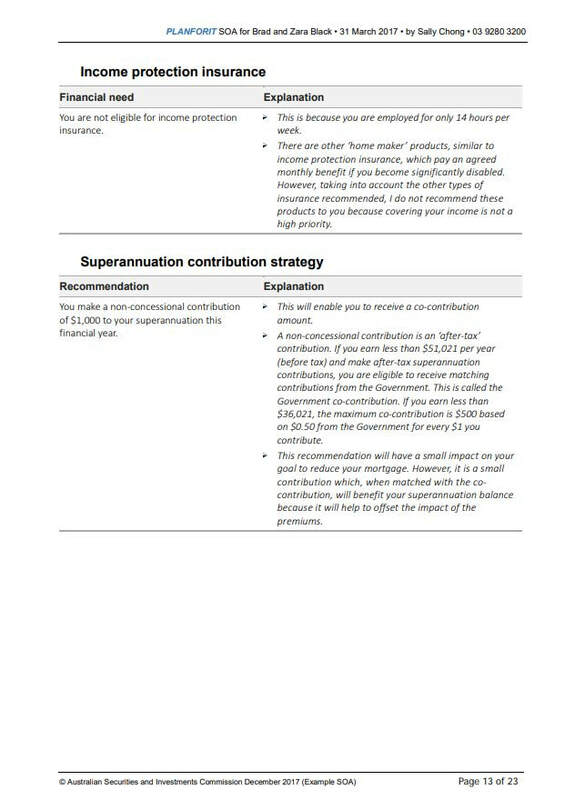 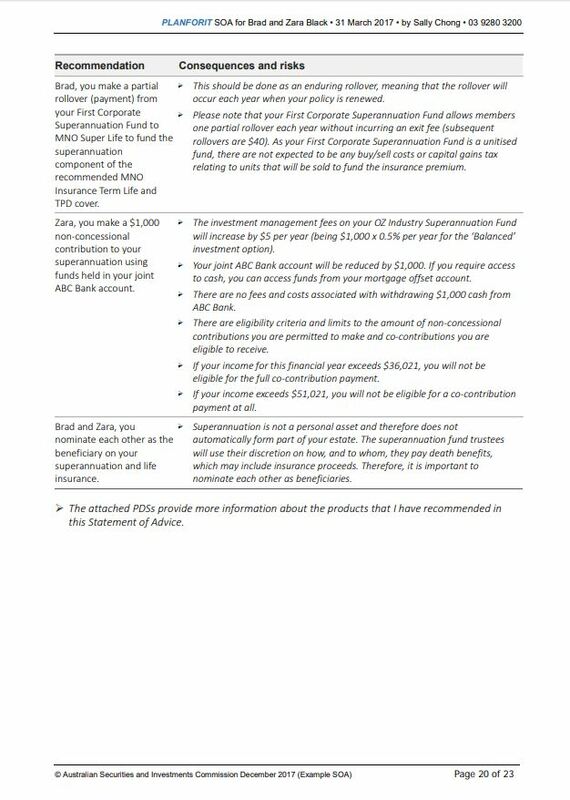 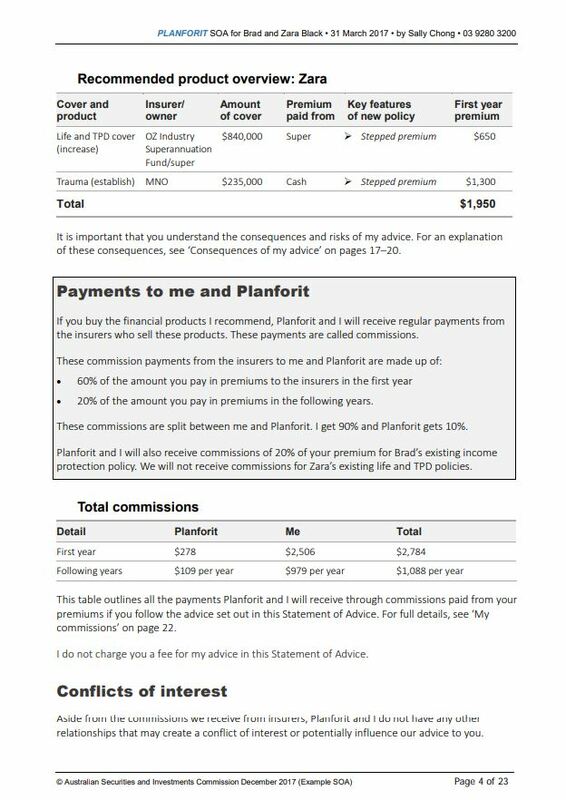 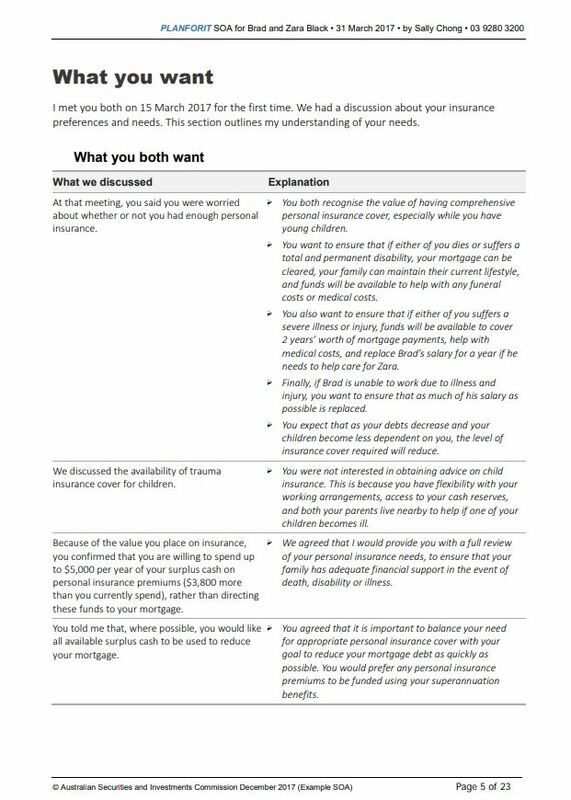 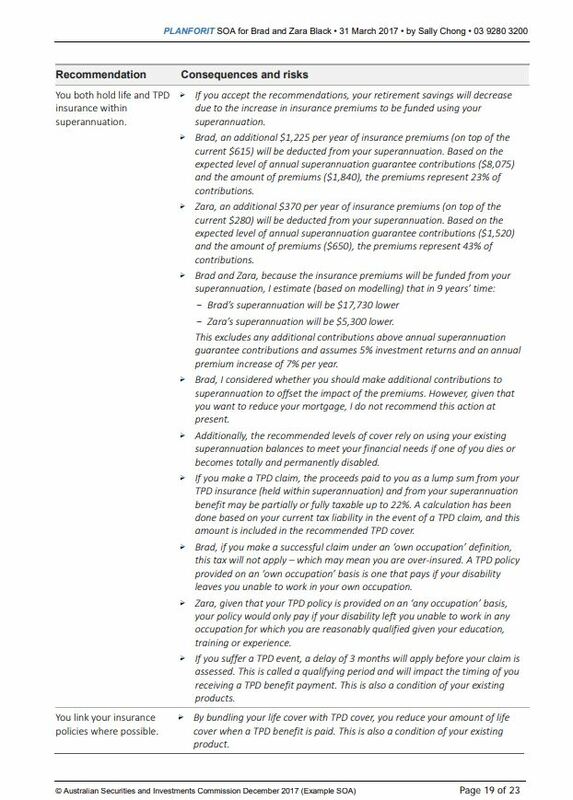 This ASIC example is based on a hypothetical and limited financial advice scenario developed in consultation with ASIC stakeholders. 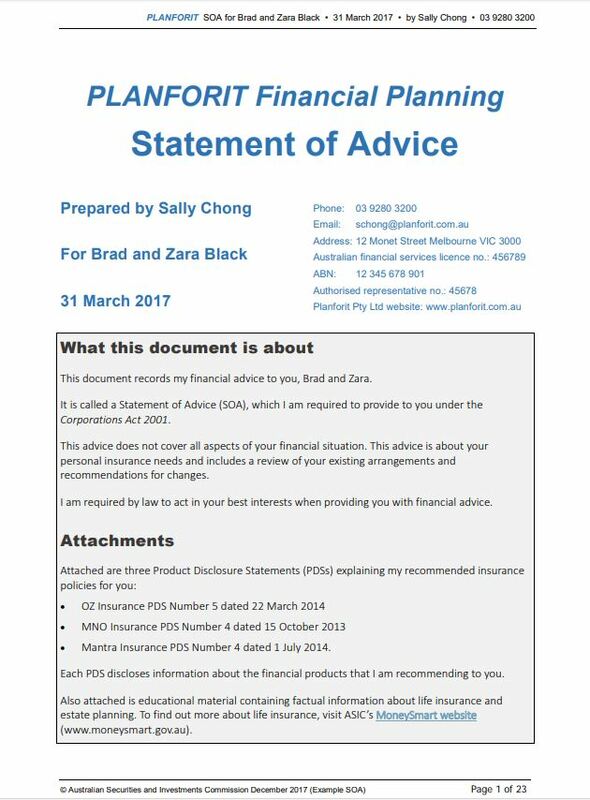 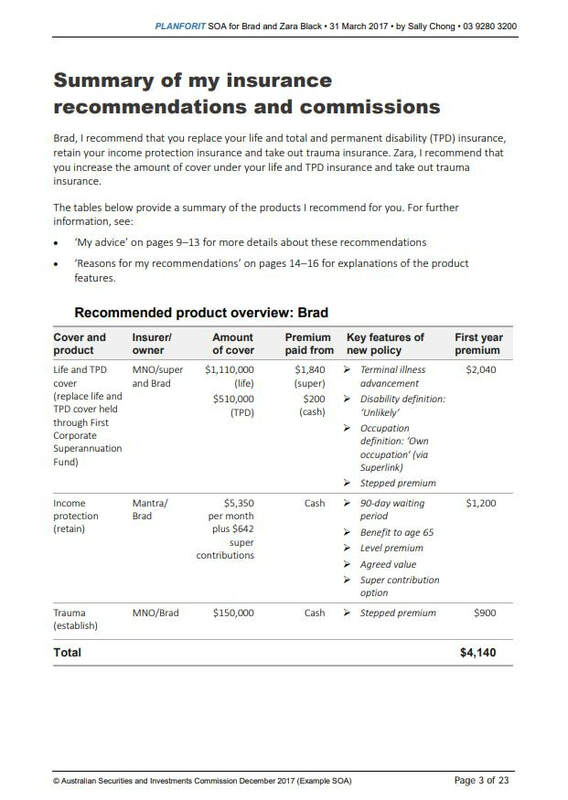 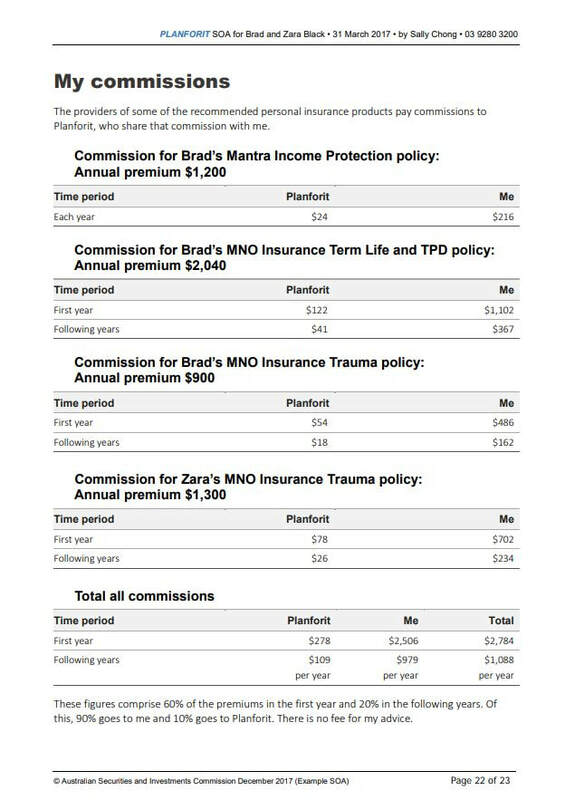 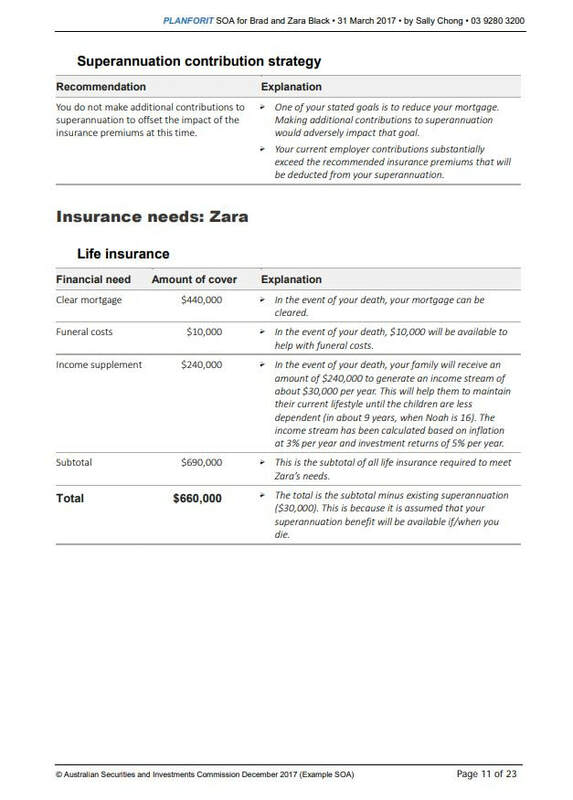 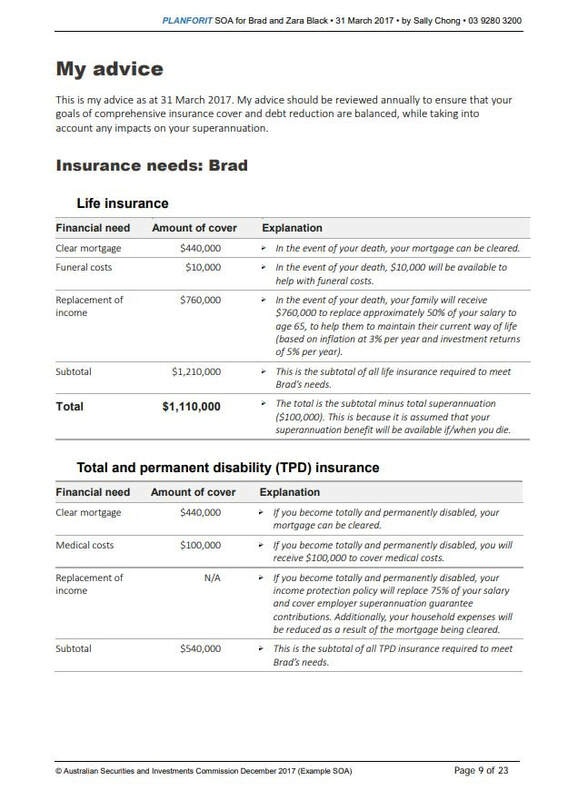 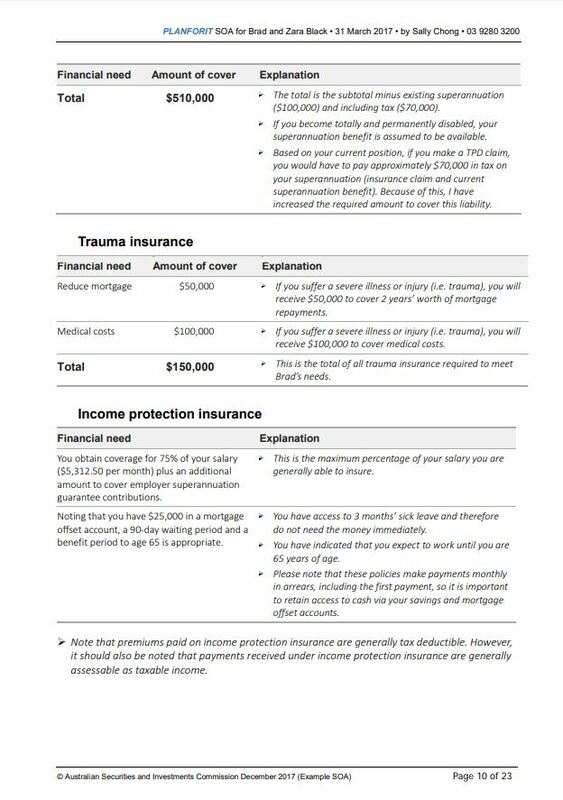 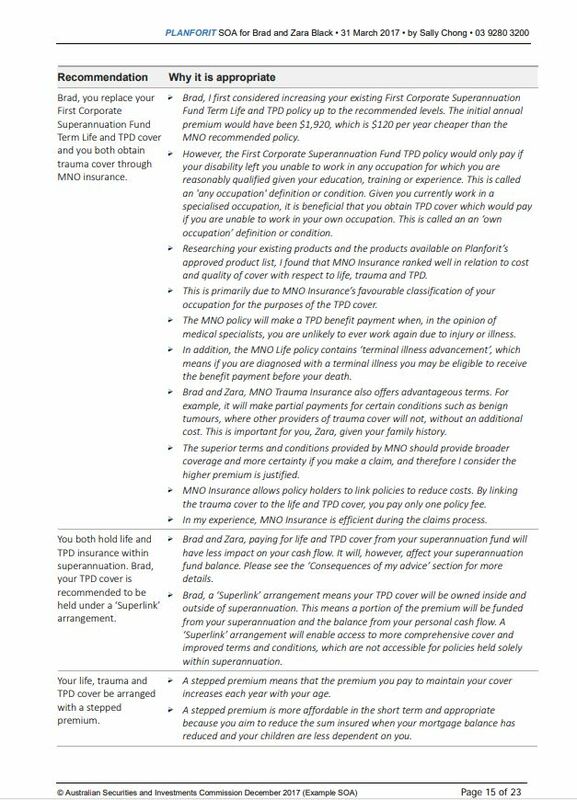 96 The scenario deals with Brad and Zara Black—a married couple with two young children who have asked a financial planner, Sally Chong, to advise them on personal insurance cover in the event of death or disability, taking into account their current income and assets. 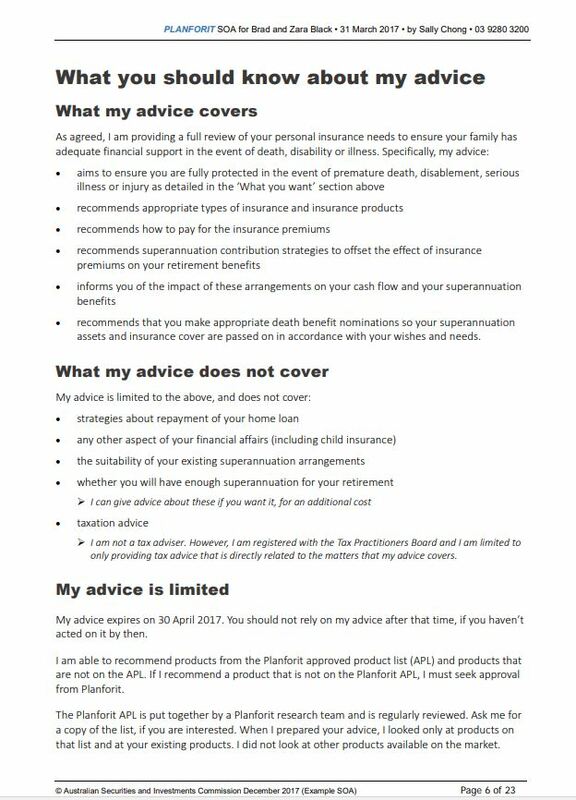 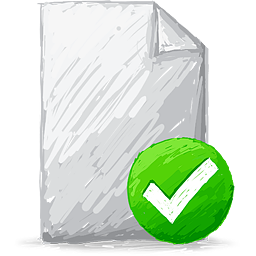 Sally is an authorised representative of AFS licensee Planforit Pty Ltd.